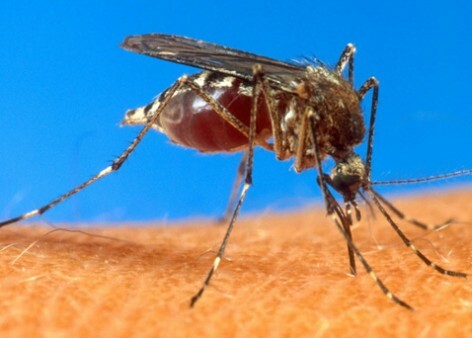 This virus is spread by the bite of infected mosquitoes and usually causes a mild illness. It may also cause encephalitis (inflammation of the brain), meningitis (inflammation of the lining of the brain a nd spinal cord) or polio-like paralysis. This virus was first isolated in the West Nile region of Uganda in 1937, and was first identified in the United States in New York in 1999. Only a small proportion of mosquitoes are likely to be infected, and less than 1 percent of the people who get bitten by an infected mosquito become seriously ill.
People over age 50 are at greater risk of severe illness. Mosquitoes are infected when they bite a bird that carries the virus. West Nile virus is not spread from person to person or directly from birds to humans, but some cases have resulted from blood transfusion and organ transplants. The symptoms of West Nile virus infection may be mild or serious. Mild illness includes fever and muscle aches, swollen lymph glands and sometimes a skin rash. In the elderly, infection may spread to the nervous system or bloodstream and cause sudden fever, intense headache, and stiff neck and confusion, possibly resulting in encephalitis or meningitis. Healthy children and adults may not have any symptoms. Symptoms appear 3 to 14 days after exposure but may appear as soon as 1 day after exposure or as late as 7 or more days. A person who gets West Nile virus probably cannot get it again. There is no specific treatment for the virus. Most people recover from this illness. There is no vaccine for humans. West Nile virus infection can be prevented by controlling the mosquito population and protecting against mosquito bites. Heat-related illnesses aren’t just a summer hazard. People exercise in steamy gyms, wearing heavy clothes in order to sweat more. Sailors work in hot shipboard workspaces. 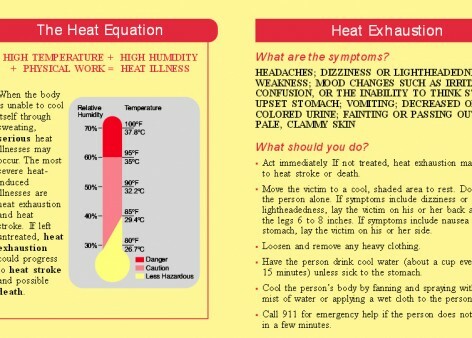 Know how to recognize the three most common types of heat-related illness: heat stroke, heat exhaustion, and heat cramps. Heat strokes are the most severe, are can be fatal. Symptoms include a temperature to as high as 105 degrees; hot, red, and dry skin; a rapid, weak pulse; and rapid, shallow breathing. As first aid for a heat stroke, call 9-1-1 immediately. Wrap damp sheets around the victim and start fanning them. Wrap cold packs in a cloth and place them on the victim’s wrists and ankles, in the armpits and on the neck. 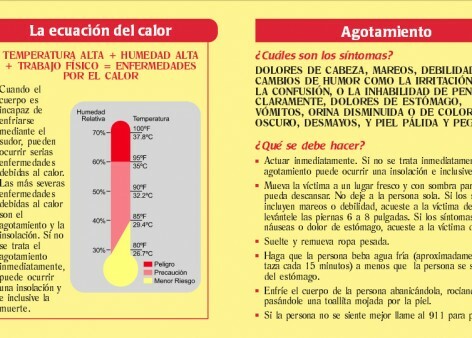 Victims of heat exhaustion will have a normal temperature, but will have other symptoms: cool, moist, pale skin; heavy sweating; headache, nausea or vomiting and dizziness. Heat cramps are muscular pains and spasms that result form intense exertion. Cramps most often attack the abdomen and legs. View this list as a PDF. Eight out of ten adults will have problems with their lower backs. You can increase your odds of being one of the twenty percent who escape these pains by following the following tips. Injuries usually occur because of two reasons. 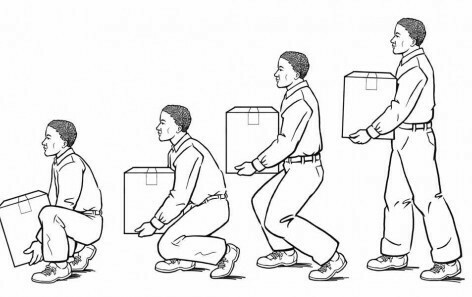 First, when back muscles are weak; second, because of poor techniques for lifting and carrying. Take a few minutes each day to strengthen and stretch your back muscles. Wear shoes that offer good support and good traction. Keep a wide stance and make sure of your footing. Lift steadily with your legs, not your back. Keep your head up and your back straight. Point your feet in the direction you plan to move. Don’t twist. Put down the load by squatting down, not bending over. If you are using a cart or dolly to move a heavy load, push it, don’t pull it. 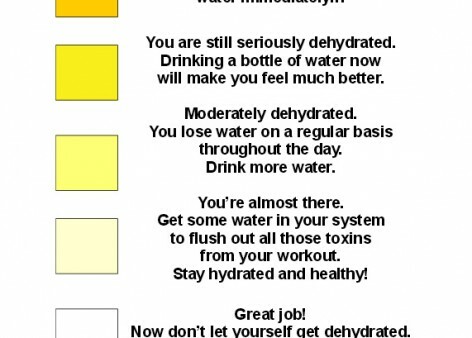 Drink enough water, but it is a little more complicated than that. During and after most physical activity, it doesn’t matter whether you drink water or sports drinks as long as you drink something to replace fluids. 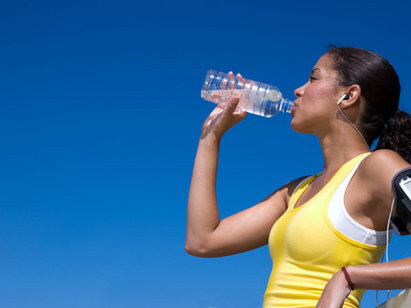 For rehydration after short periods of routine exercise, water is fine. After extended periods of exercise or exertion, sports drinks containing carbohydrates and electrolytes help prevent dehydration and restore important minerals that are lost when you sweat. There is some supporting evidence that electrolyte/carbohydrate formulas may enhance performance, endurance and recovery, particularly for the elite/endurance athlete and after long-term strenuous activity, such as marathons and full triathlons. 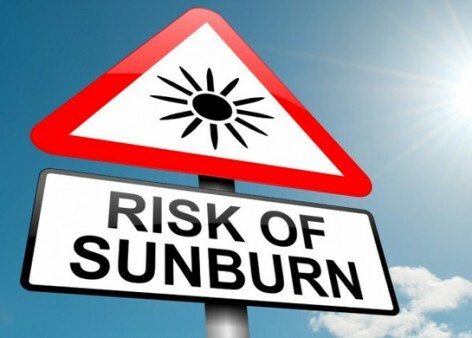 Use a sunscreen with a Sun Protection Factor (SPF) of at least 15. Use sunscreen on cloudy days, too. It may be slightly uncomfortable in the heat, but you should wear a long-sleeved shirt and long pants. Also put on a hat with a large brim and sunglasses. If you have a choice, stay in the shade. Beach umbrellas will protect you from some of the sun exposure. They are actually very comfortable on sunny days. Remember that children’s skin is even more sensitive that yours. They can start wearing sunscreen by the time they are six months old. Even so, minimize their exposure. The sun is strongest between 10 a.m. and 4 p.m. Hit the beach early, use the main part of the day for other activities, then go back later in the afternoon. The three main types are supplied-air respirators, which provide pressurized breathing air; self-contained units that have air in a tank that you carry on your bank; and air-purifying respirators, the use filters to clean the air you breathe. 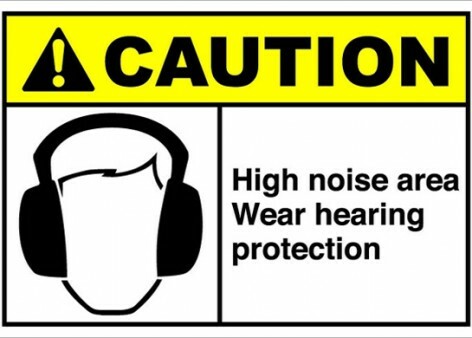 Respirators must always be fit-tested to make sure they seal correctly to your face, and that there are no leaks. 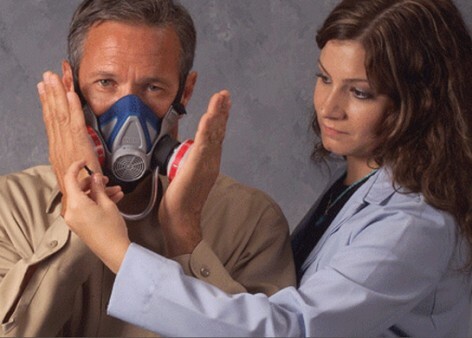 Each time you use your respirator, check to make sure that all connections are tight; that it is in good condition and hasn’t been damaged; that it seals correctly on your face; and that the filters haven’t exceeded their useful life. Learn how to perform both a negative-pressure check and a positive-pressure check on your respirator. Escape respirators are only for emergencies; don’t use them during normal work. store a respirator to keep it clean and protect it from damage and contamination. Prolonged exposure to low temperatures, wind or moisture-whether it be on a ski slope or in a stranded car-can result in cold-related illnesses such as frostbite and hypothermia. The National Safety Council offers these tips to help you spot and put a halt to these winter hazards. Frostbite is the most common injury resulting from exposure to severe cold. Superficial frostbite is characterized by white, waxy, or grayish-yellow patches on the affected areas. The skin feels cold and numb. 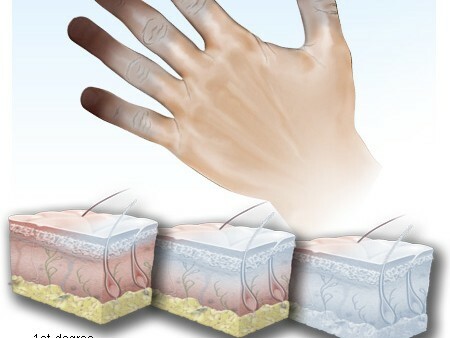 The skin surface feels stiff but underlying tissue feels soft and pliable when depressed. Treat superficial frostbite by taking the victim inside immediately. Remove any constrictive clothing items that could impair circulation. If you notice signs of frostbite, immediately seek medical attention. Place dry, sterile gauze between toes and fingers to absorb moisture and to keep them from sticking together. Slightly elevate the affected part to reduce pain and swelling. If you are more than one hour from a medical facility and you have warm water, place the frostbitten part in the water (102 to 106 degrees Fahrenheit). If you do not have a thermometer, test the water first to see if it is warm, not hot. Rewarming usually takes 20 to 40 minutes or until tissues soften. Deep frostbite usually affects the feet or hands and is characterized by waxy, pale, solid skin. Blisters may appear. Treat deep frostbite by moving the victim indoors and immediately seek medical attention. Hypothermia occurs when the body’s temperature drops below 95 degrees Fahrenheit. Symptoms of this condition include change in mental status, uncontrollable shivering, cool abdomen and a low core body temperature. Severe hypothermia may produce rigid muscles, dark and puffy skin, irregular heart and respiratory rates, and unconsciousness. Treat hypothermia by protecting the victim from further heat loss and calling for immediate medical attention. Get the victim out of the cold. Add insulation such as blankets, pillows, towels or newspapers beneath and around the victim. Be sure to cover the victim’s head. Replace wet clothing with dry clothing. Handle the victim gently because rough handling can cause cardiac arrest. Keep the victim in a horizontal (flat) position. Give artificial respiration or CPR (if you are trained) as necessary. Avoid frostbite and hypothermia when you are exposed to cold temperatures by wearing layered clothing, eating a well-balanced diet, and drinking warm, non-alcoholic, caffeine-free liquids to maintain fluid levels. Avoid becoming wet, as wet clothing loses 90 percent of its insulating value. 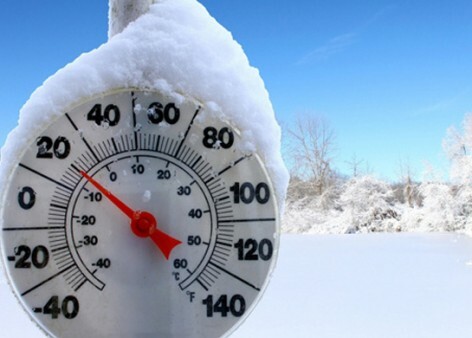 When your core body temperature falls suddenly below its normal level of 98.6 F, your are hypothermic. Skiers, hikers and fisherman are at risk, and this condition can occur unexpectedly, even on days when the temperature is 60 degrees. All it takes is wet clothes and a brisk breeze. Other factors can contribute, such as if you are hungry and tired, or if you’ve been drinking alcohol. You may not be aware of the condition, and others may not notice until your core body temperature has dropped dangerously low. To treat someone for hypothermia, gradually warm their body. Get them out of wet or cold clothing, and wrap them in layers of dry, warm clothing. Give them something warm to drink (avoid alcohol and caffeine). Don’t move the victim unless staying put is even more risky or dangerous. Wear clothes that are made of wool and that are windproof. In spite of advances in synthetic fibers, wool is still a superior insulator. Wear loose garments that don’t restrict your circulation. Layers of light clothing are better than a heavy layer. If you get wet, change into dry clothes. 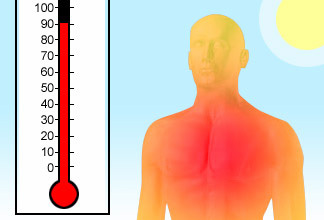 Keep your hands, head, and feet covered–that’s where your body loses the most heat. Pay attention to the forecast winds as well as the temperature when deciding what to wear. Symptoms vary depending on the severity of the chill. Victims of mild hypothermia often shiver uncontrollably and appear clumsy. Moderate hypothermia slur their speech, appear dazed and act irrationally. Sometimes they don’t feel cold. Victims of severe hypothermia have dilated pupils, pale skin, a slow pulse. Their muscles become rigid, and they eventually stop shivering. Ultimately, they collapse, and in the final stages, stop breathing. This entry was posted in Health and tagged videos. Bookmark the permalink.